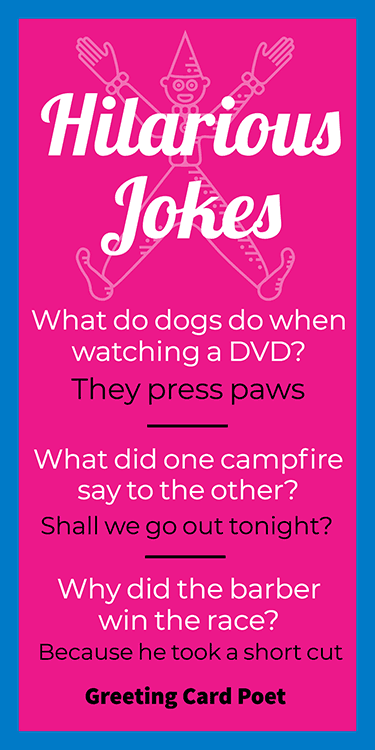 These are some of the most hilarious jokes sound, and trust us when we say that you will be the center of attention! We all share jokes, quotes, and other funny stuff and no matter how funny they are, we never had enough. Many people like to hear hilarious jokes, but love to share them even more. And a lot of times, the joke itself may not even be funny. Sometimes, it could be the delivery, the situation, or some other factor. So, if you know someone who needs a little chuckle, these jokes are just too dang funny to not laugh at, no matter what your age. These jokes are so stupid that they will not only guarantee to make you facepalm, but it’ll also make everyone around you laugh out loud at the same time. Don’t believe us? 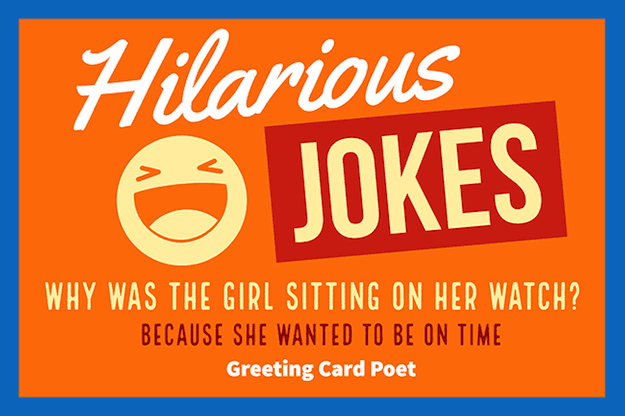 Well go on ahead and read these groaners and try not to crack a smile…or croak! Because it’s a little meteor. Who lost a herd of elephants? She pulled her hare out. What kind of rocks are never found in the ocean? She wanted to catch up on her sleep. What’s bow that can’t be tied? What does my dog do when he goes to bed? He reads a bite-time story. What do dogs do when watching a DVD? They can’t find a barking space. How do you make fire with two sticks? Why did the girl nibble on her calender? What do you call a woman who crawls up walls? Why do hamburgers go to the gym? What did the tree wear to the beach party? What did the dinosaur use to build his house? Why didn’t the sun go to college? Because it already had a million degrees. What kind of tree can you put in your hand? What did the chef name is son? Why was the girl sitting on her watch? Because she wanted to be on time. What do you call a pig thief? Would octopus make a good fast food? What is the opposite of a cold front? What holds the sun up in the sky? What do you call an underwater spy? What did the dinosaur put on her steak? What dinosaur would Harry Potter be? Toga-ether we can rule the world. You’re on Hilarious Jokes page.